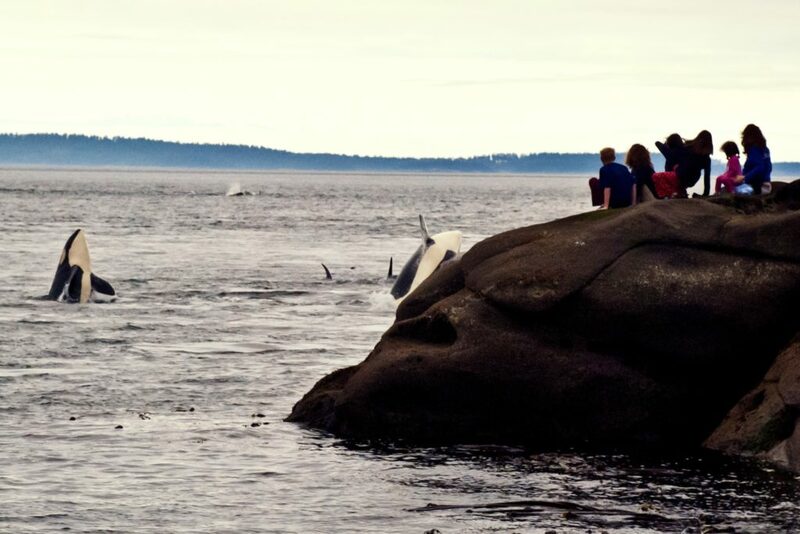 With 15 sites and counting in British Columbia, the Whale Trail provides access and best tips to viewing marine mammals. Explore the sites using the interactive map below or click the button to find a filterable listing of sites, amenities, and commonly seen marine mammals. 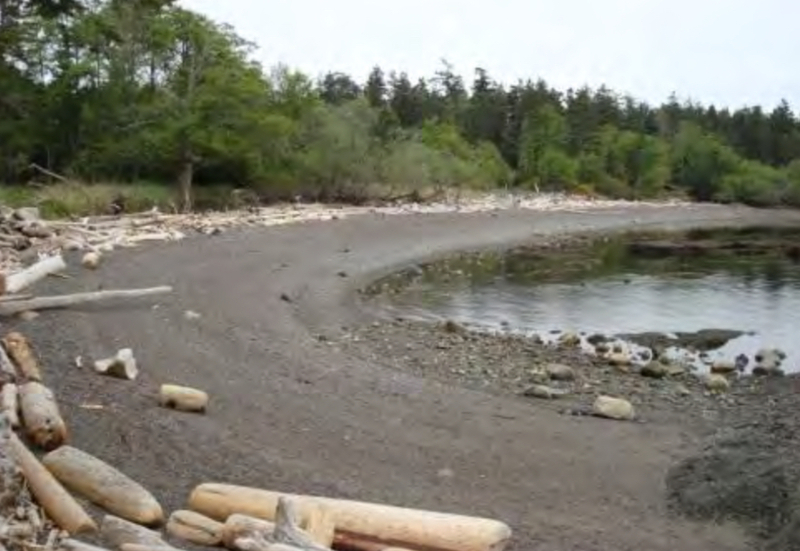 East Limestone Island is located in the K'uuna Gwaay Conservancy on Haida Gwaii. 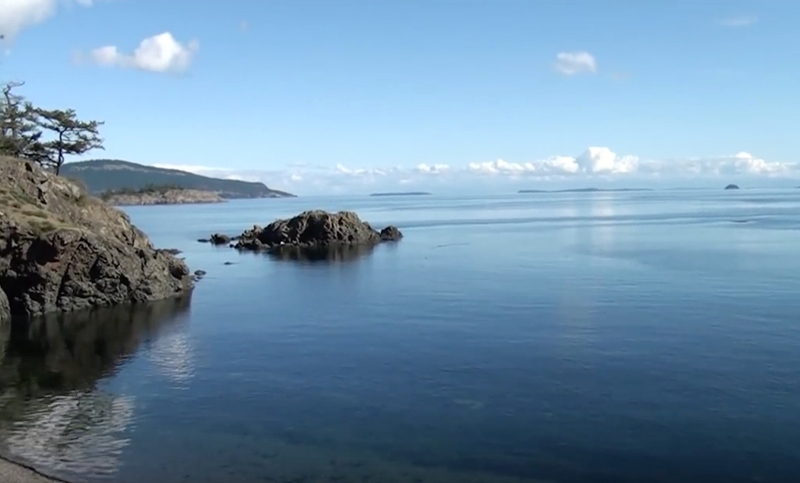 This island is home to Laskeek Bay Conservation Society's remote field station, where the organization has been conducting long-term monitoring and research for nearly 30 years with the support of citizen scientist volunteers. 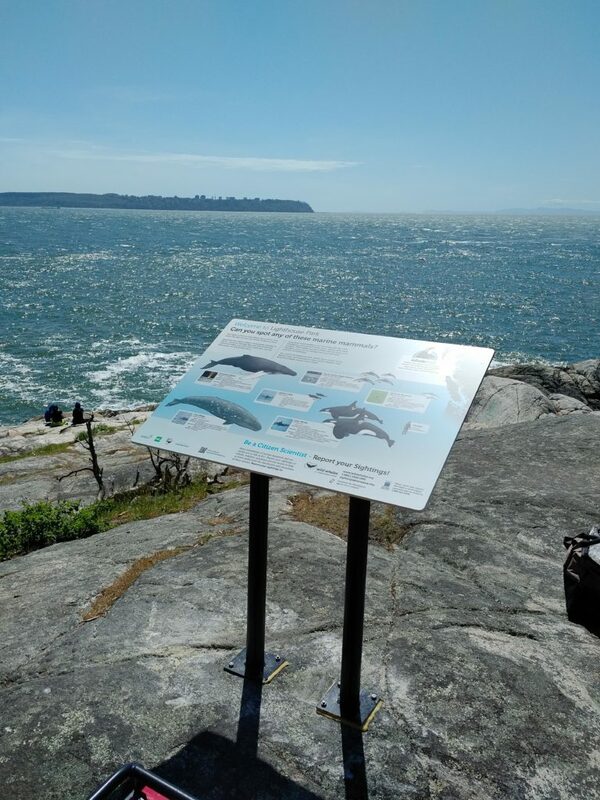 The newest Whale Trail sign was recently installed in West Vancouver! Congratulations to Bailey Eagan of the BC Cetacean Sighting Network (BCCSN) and everyone involved. 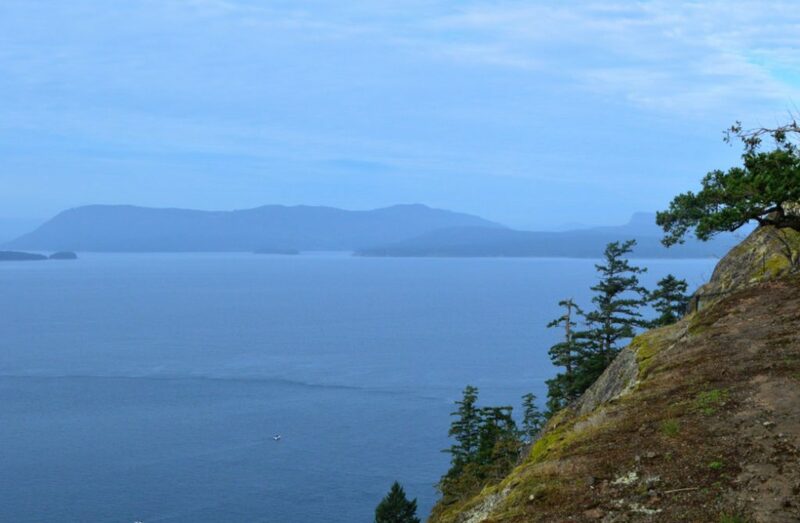 This is the fourth of five signs funded by a grant from Mountain Equipment Coop to BCCSN – The Whale Trail BC is well underway. 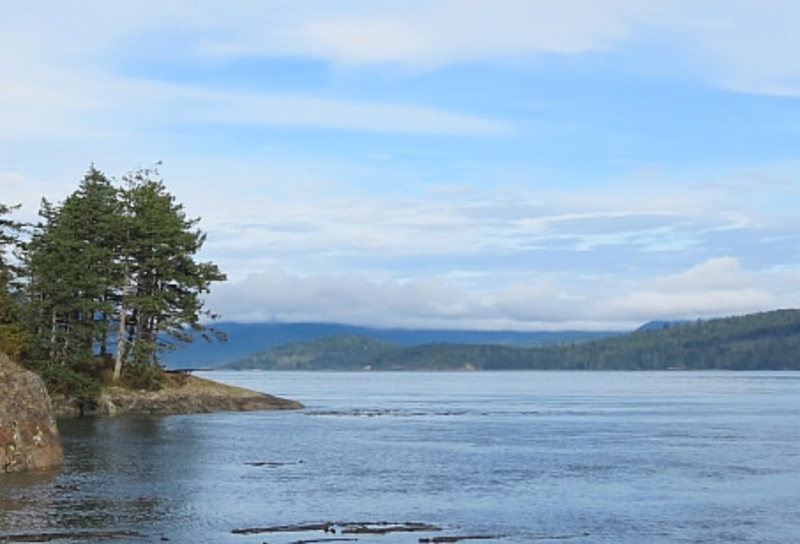 Located within Vancouver Island's Inside Passage, near the village of Sayward, The Port of Kelsey Bay awaits your arrival. 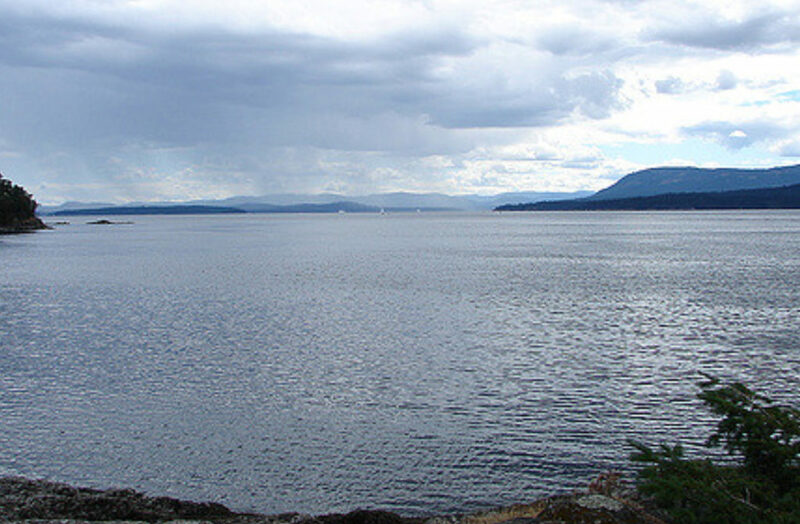 Orcas and sea lions are visible in the Johnstone Strait from the newly restored wharf which includes an inclement weather, glass enclosure viewing room. 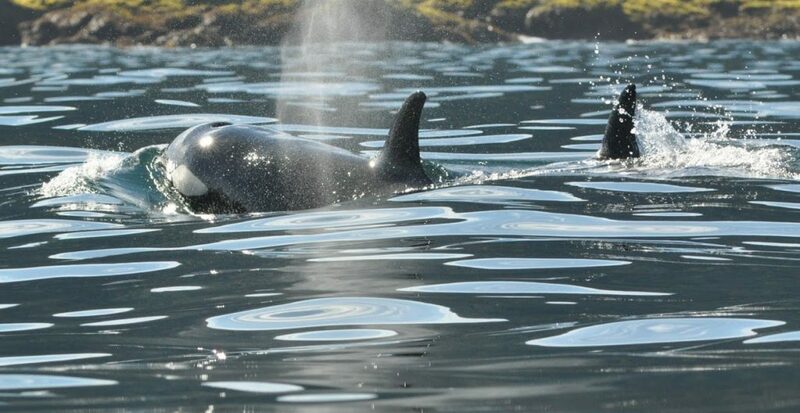 The Whale Interpretive Centre is located in Telegraph Cove, BC and run by the non-profit Johnstone Strait Killer Whale Interpretive Centre Society. The Centre was founded in 2002 to provide a venue in which to increase public awareness about the biology of marine mammals and the anthropogenic threats facing their populations. The Vancouver Aquarium is Canada's largest aquarium, and a non-profit organization focused on conservation of aquatic life. 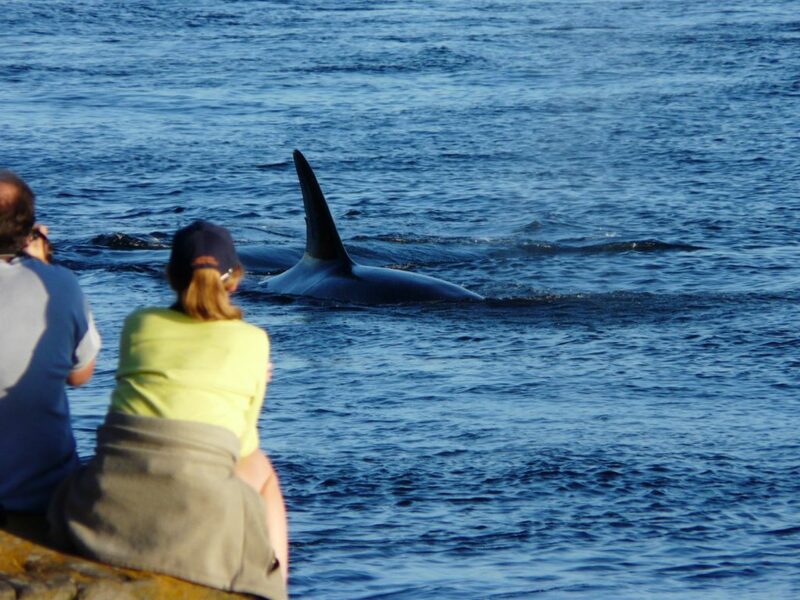 The Aquarium conducts ground-breaking orca research through its Cetacean Research Lab. The Aquarium is also a partner in the B.C. Cetacean Sighting Network, and operates a very popular Adopt-A-Whale program.